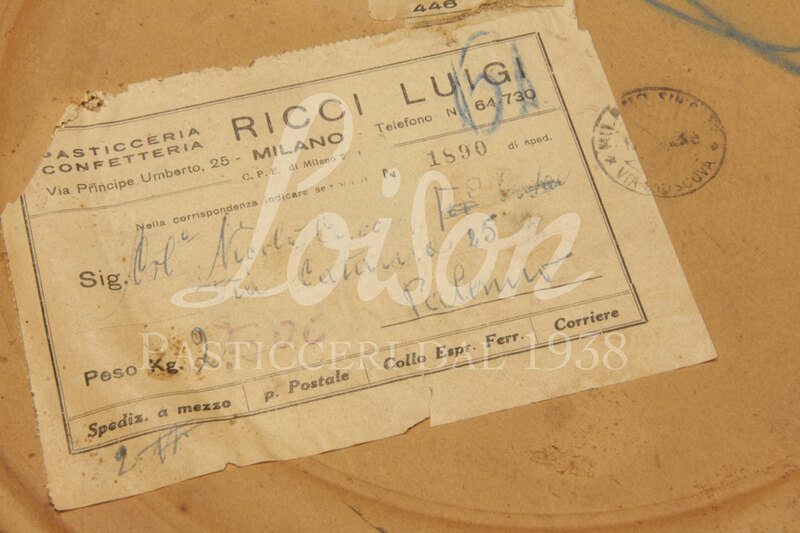 Pastry and confectionery shop Luigi Ricci opened its doors in 1892 at 25 Via Principe Umberto in Milan and stayed in business until the 1930s. It was one of the most renowned artisan shops of the old town during those times. 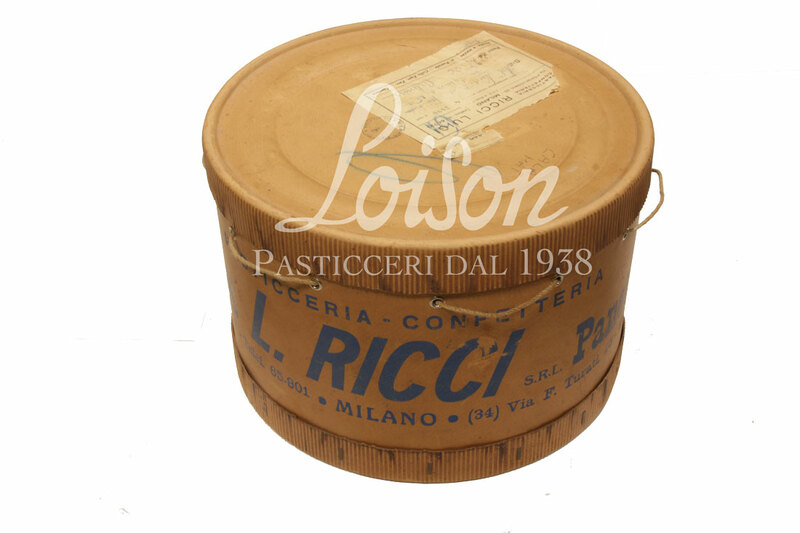 Founder Luigi Ricci was one of the pioneers of the confectionery industry. Thanks to his business ingenuity and entrepreneurship, he succeeded in convincing 5 other pastry chefs to join him in a cooperative of workshops, so to help the members with the cost of machinery, raw materials and hired help. This union of pastry shops was founded in 1908 and the workshop at 13 Via Vespucci was dubbed the “Fabbricone” (big factory). In addition to Luigi Ricci’s confectionery, the following businesses joined the union: pastry shop Marchesi, pastry shop Ambrosiana on Via Rugabella, coffee house Bar Commercio in Piazza Duomo, coffee house Bar Moderno in Monza and, later on, pastry shop Cova. In 1939, Ricci opened a new shop on the first floor of the skyscraper in Piazza della Repubblica. Made for Palermo-native customers, this 2.5-kg container comes with its original cording that secured the lid to the hatbox. A round-shaped hatbox made from sturdy cardboard, with cording and rings. The lid still retains the original shipping label bearing the receiver’s information and postmark.